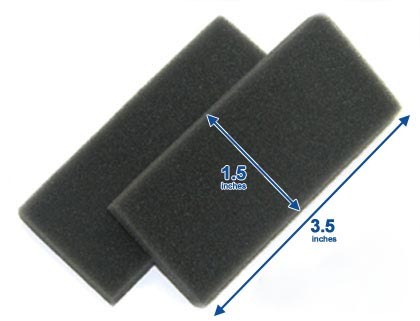 Replacement foam filters that are used by the Respironics REMstar Plus, REMstar Pro, REMstar Auto, BiPAP Plus and BiPAP Pro2. These are for the older non M-Series CPAP machines. 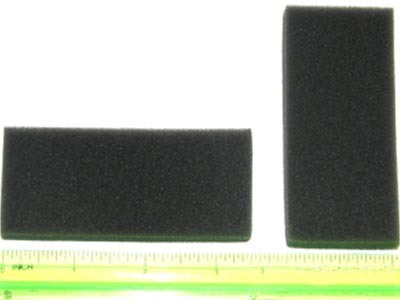 These Med-Dyne filters are exact replacements for Respironics part number 1005964. Filters measure approximately 3 1/2 inches by 1 1/2 inches. Two filters per pack.